Arika Kane's Latest Release feat Brian McKnight! an amazing track featuring Grammy nominee Brian McKnight! "IT'S THERE" will leave you breathless! embracing the passion of 'Classic RnB'! Check out this phenomenal lady! Alex Graham: Can you tell the readers at Celebrity English a bit about your background? Arika Kane: I grew up in a small town in northeastern Ct. Inspired by the challenges of life I was always a rebel at heart. I never wanted to fit into the conforms of society. Music became my pursuit of choice because it came to me so naturally & that's where my passion lied. After high school, I went head on onto my path, and ran into to plenty of obstacles mostly due to the negative motivations of others. After realizing I can't put my career in anyone else's hands,.. I developed myself as an artist. I learned about the business. I honed in on my songwriting abilities, learned audio production & record engineering. I recorded my own demos. I performed my music everywhere in Connecticut & NYC...after 4 years of networking, I was finally connected with BSE Recordings who is my Label now. Alex: What brought you to music and what is it about music that continues to enthrall you? Arika: Music was embedded in my family from my grandparents to my parents. My mother & father are musicians and had music playing all the time. They traveled on the weekends to perform with their multiple bands and would pack up me & my brother. As a child once the Music played, I could see how much happiness it brought my parents, as well as myself. Music continues to enthrall me to this day because now that I have so much life experience, I can see the deeper elements of music. Music spreads compassion, change & love. It's healing on every level and a close companion to the world, which in turn brings the world closer. Alex: Your songs have been referred to by industry insiders & fans as "The Return of Real R&B Music” What are your thoughts on this idea or, in your opinion, what has been lost? Arika: I am flattered by that reference without a doubt. I agree with it also, however I think it's also goes deeper than speaking in "genre" terms because their are incredible R&B artist out there. It is in mainstream music where the issue now lies, and that's where I feel that my Music is bringing back "substance". I think that what is lost is rhythm, soul, melody & raw emotion that should still be alive & well in mainstream music. 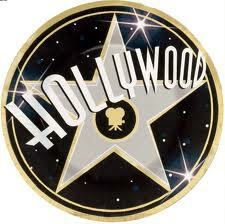 Alex: Who are some of your favorite singers or musicians from the 1970s that represent classic R&B? Alex: Arika Kane, Big Congratulations on “It’s There”! It ‘s an outstanding collaboration duet with Grammy Nominee Brian McKnight! What was it like working with the soulful Brian McKnight? Arika: Thank you very much! ;-) It was a total honor for me to work with such an accomplished legend in music. He is extremely humble, and such a polished artist. He really connected with the song, lyrics & production. It was definitely magic in the making. "It's There" is the classic love story fit for any soulful couple, wedding, movie etc..and Brian was the perfect partner for this record. Alex: For me, “It’s There” feels so much like a ‘REAL RETURN’ to the sensational roots of R&B! How long did it take the two of you to put it all together? Arika: Thank you! That sounds perfect to me ;-) The song was written and produced by myself & (BSE Recordings) Louis Humphrey, Jasmon Joyner. Once the music was written..It only took me a day to find the melodies, and then a few days after that to dig up emotions for the lyrics. That happens sometimes I go through an emotional process when the lyrics start coming to me. Then Brian learned the song & we were both in the studio 1 month later performing it together. Alex: Now Arika Kane this isn’t the first time for you to share the stage to create musical magic, you have also performed with music legends like Charlie Wilson, Tevin Campbell, Babyface, Donell Jones, Faith Evans and Frankie Beverly Ft Maze, and more! The list goes on…. so I was wondering if you could give a few tips to singers just starting out or trying to make it the tough world of music. Arika: Build your team from the bottom up of which whom you trust. Because the industry has changed so much, start with the Internet, digital world & social media. They are your best friend on an International level. Put your brand out there & start building your following/fan base. Alex: What can we look forward to in the future from the amazing Arika Kane? And what is the best way to follow you on your R&B adventure? Alex: Thank you for a being at Celebrity English! And thank you for a fantastic interview! Alex: Ok, now it's time to let the music do the talking! 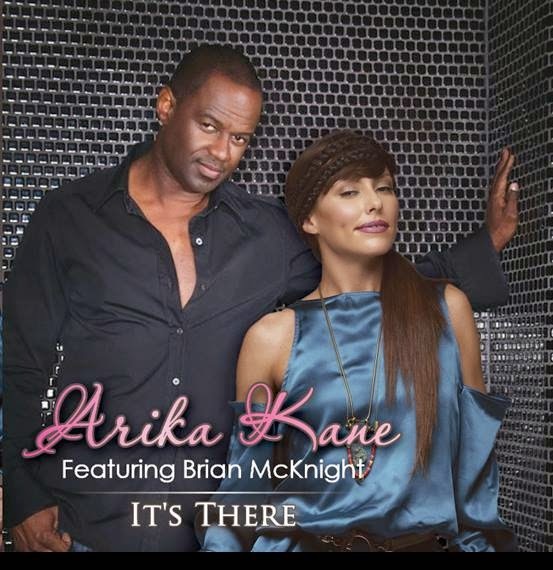 Here is the sensational Arika Kane & Brian McKnight Duet "It's There! Happy to see your new post! Arika is amazing! Very inspiring post. Thanks to encourage the readers. Never heard of Arika Kane before. The voice is so pleasant, and the duet is brilliant! Wow! Very impressed with Arika, shame it took me so long to find this post!